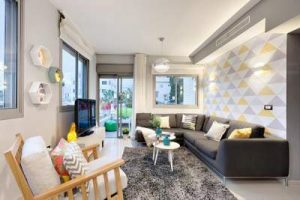 Tel Aviv Apartments to rent in Israel. Apartments to rent in Israel. Tel Aviv is the nightlife city in Israel, having the best bars, restaurants, cafes and clubs. Hang out around Dizengoff Square and the seafront. Also good for people-watching is Old Jaffa. Tel Aviv is also Israel’s gay centre with many gay bars and clubs. For swimming, best head to Tel Aviv or Eilat where you’ll be able to windsurf, waterski, sail and party. For an extraordinary diving experience, visit Caesarea, where you can dive the ruins of Herod’s city. Sunshine Suites offers apartments in 2 central locations in Tel Aviv, maximum a 3-minute walk from Bugrashov Beach and the shops along Sheinkin. Accommodation 92 reviews Tel Aviv Apartments. 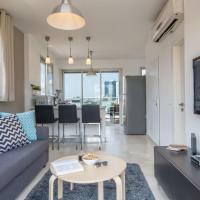 Featuring free WiFi and air conditioning, Vilmar Lighthouse offers apartments set in various locations in Tel Aviv. Neve Tzedek is 500 metres from the property. Located only 400 metres from a sandy beach strip in Tel Aviv, Ben U Apartments offers air-conditioned accommodation with a panoramic view of the Mediterranean sea. Free WiFi access is provided. Featuring air conditioning, Inner City Mini Penthouse is situated in Tel Aviv, 500 metres from Gordon Swimming Pool. Itzhak Rabin Memorial is 700 metres away. Free WiFi is featured and private parking is available on site. The accommodation comes with a seating and dining area. Some units include a terrace and/or balcony with city views. There is also a kitchen, equipped with an oven, microwave and toaster. A fridge and stovetop are also provided, as well as a coffee machine. There is a private bathroom with a hairdryer in every unit. Bed linen is offered. Inner City Mini Penthouse also includes a sun terrace. Dizengoff Square is 800 m from Inner City Mini Penthouse. The nearest airport is Ben Gurion Airport, 13 km from Inner City Mini Penthouse. Why go on holiday to Israel? If you go without preconceptions, you’re likely to leave with happy memories. Religious history is a vital part of Israel but not the only reason to visit the country. There are lakes, oases, mountains, a rift valley, coastline and coral reefs to explore. Israel can also offer you glitz and glam in Tel Aviv and Eilat. The Gaza Strip and West Bank give you a taste of Palestinian life and Arabic culture. But be aware of the tensions in the region and check Foreign Office advice before booking. You can get some great bargains out of season to Israel. A one-week holiday to Eilat in November can be found from around £300 if you’re lucky. In season expect to pay around £500 for the same trip. Flights cost from £200 upwards for a 12-month open return. Whatever time of year you visit will be pleasant, although it can be very cold at night – especially in Jerusalem, which is in the highlands (and can be rainy too). Summer averages 70-100F (20-38C), winter averages 60-70F (15-23C). Unless your reason for going is a major Jewish, Muslim, or Christian event, these dates might be best avoided as the pilgrimage sites get uncomfortably crowded and accommodation prices soar. What should I do when I’m there? Sightseeing, scuba diving, swimming with dolphins, beach-bumming. This is a great country for hiking. For horse riding try the riding centres around Galilee and Golan.For swimming, best head to Tel Aviv or Eilat where you’ll be able to windsurf, waterski, sail and party.For an extraordinary diving experience, visit Caesarea, where you can dive the ruins of Herod’s city.The Dead Sea is an experience you’ll never forget as you float in this water packed full of minerals that cleanse your skin as you relax your mind. Head out to the Negev desert to see stunning landscapes. You can even ski in the Golan at Mount Hermon.Where’s all the history? Everywhere you look will be a place of ancient worship or importance. In Jerusalem, the winding streets of the Old City are charming, uncomfortably busy during religious festivals, packed with historical sites, bazaars and resident prophets.Tel Aviv’s Yemenite quarters and Neve Tzedek districts offer a different kind of history. Ramallah is a sophisticated and hip West Bank town that was once a favourite resort with wealthy Jordanians – whilst there, also visit Nablus and Jericho.Haifa is dominated by the Baha-I Shrine of the Bab, sits next to the ruins of Caesarea and the ancient Arabic town of Old Akko. Visit Safed, on a mountain in Galilee, or the lively, vibrant town of Nazareth. Make Tiberias your base to explore the monasteries, churches and tombs in the Galilee. Masada – potent symbol of ancient Jewish resistance – is next to the Dead Sea. Hula Valley, a unique wetlands wildlife sanctuary near the Golan mountains, is home to jungle cats. The impressive Rosh HaNikra sea caves can be reached from Haifa town. White water raft down the Jordan River, relax on the eastern shores of the Sea of Galilee, and hike around the Golan Heights. The Dead Sea is the lowest point on the surface of the Earth, from which Ein Gedi – a lush oasis in the arid Judean desert – can be reached. In the Negev desert the Maktesh Ramon crater is eerie and wild, whilst off Eilat you can see the fabulous Red Sea coral reefs and the Hai-Bar Arava Biblical Wildlife Reserve. Tel Aviv is the nightlife city in Israel, having the best bars, restaurants, cafes and clubs. Hang out around Dizengoff Square and the seafront. Also good for people-watching is Old Jaffa. Tel Aviv is also Israel’s gay centre with many gay bars and clubs.Eilat is the other big nightlife centre – it is just a non-stop carnival. In Jerusalem there are many bars and cafes, but not in the most religious areas.The Underground in Zion Square is the most popular spot and Yoel Salomon and Rivlin Streets are lined with late-night bars. The Sultan’s Pool in Jerusalem is a fabulous outdoor venue – check in the Post for listings.What’s the food like? Judaism’s Kosher laws ensure that Israel is great for vegetarians – dairy-only restaurants mean no meat. North European Jewish food such as schnitzel, goulash, gefilte fish and blintzes are common and can be delicious – albeit heavy.SephardicJewish food such as shaslik and kebab meats, humus, stuffed vegetables, spiced rice and spiced offal dishes are justly famous, and are similar to Middle Eastern/Eastern Mediterranean cookery.Falafel, salads, fava beans, grilled meat, shwarma and mansaf (rice and meat – like pilaff or biriani) are all common Palestinian foods served with flat breads. Sweetmeats and pastries soaked in honey and dribbled with butter are irresistible. Israel is full of shops filled with tacky souvenirs – which are fun – but there are also many lovely things to buy, especially in markets and smaller boutiques. For bargains be patient and haggle, but don’t be aggressive as this misses the point. Haggling should be fun for all; of course it helps if you understand bluffing, but not if you’re intent on angrily huffing. You’ll be able to find a lot of beautiful ceramics in the Old City of Jerusalem. Experience the Camel Market in Tel Aviv. In Beersheba on Thursday head for the Bedouin market – the southern part is where you’ll find authentic Bedouin goods. There are many superb sights, including the Israel Museum – if your kids like this kind of outing then Israel may be for them. If they want to splash in a pool then Eilat may be suitable – although it is more renowned as a kind of Ibiza on the Red Sea than as a family resort. Check with your resort hotel for kiddie facilities, otherwise think hard – although distances are short in Israel it can be hot, crowded and perhaps a bit scary for little ones. For older children, staying on a kibbutz can create life-long friendships. Israel Government Tourist Office, 180 Oxford Street, London, W1D 1NN. Tel. 020 7299 1111 . 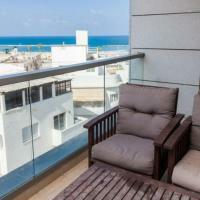 Tel Aviv Apartments to rent in Israel. Tel Aviv is the nightlife city in Israel, having the best bars, restaurants, cafes and clubs. Hang out around Dizengoff Square and the seafront. Also good for people-watching is Old Jaffa. Tel Aviv is also Israel’s gay centre with many gay bars and clubs. For swimming, best head to Tel Aviv or Eilat where you’ll be able to windsurf, waterski, sail and party. For an extraordinary diving experience, visit Caesarea, where you can dive the ruins of Herod’s city. 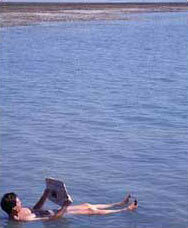 Take A Break Holidays takeabreakholidays, Tel Aviv Apartments Accommodation.